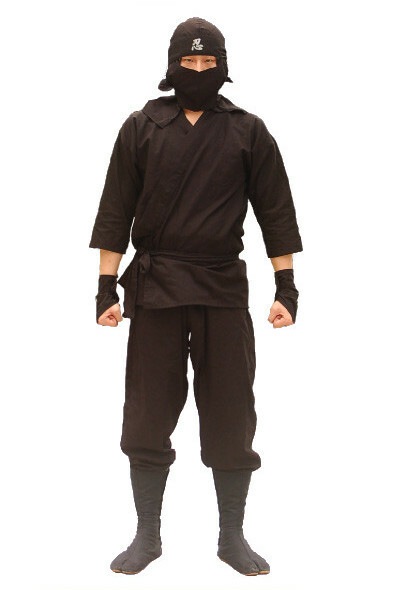 An authentic set of ninja gear: top, belt, trousers, tekko arm covers, hood, and hachimaki. In four adult sizes (M-XXL) based on the heights shown below. Made from quality black cotton. 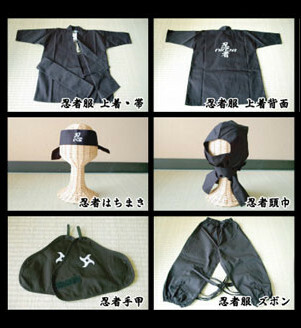 An authentic set of ninja gear: top, belt, trousers, tekko arm covers, hood, and hachimaki. In four adult sizes based on the heights shown below. Made from quality black cotton. Footwear is not included - see our wide range of tabi and jikatabi.